In 2016 East Colony Fine Art held it's annual Petals2Paint exhibit. 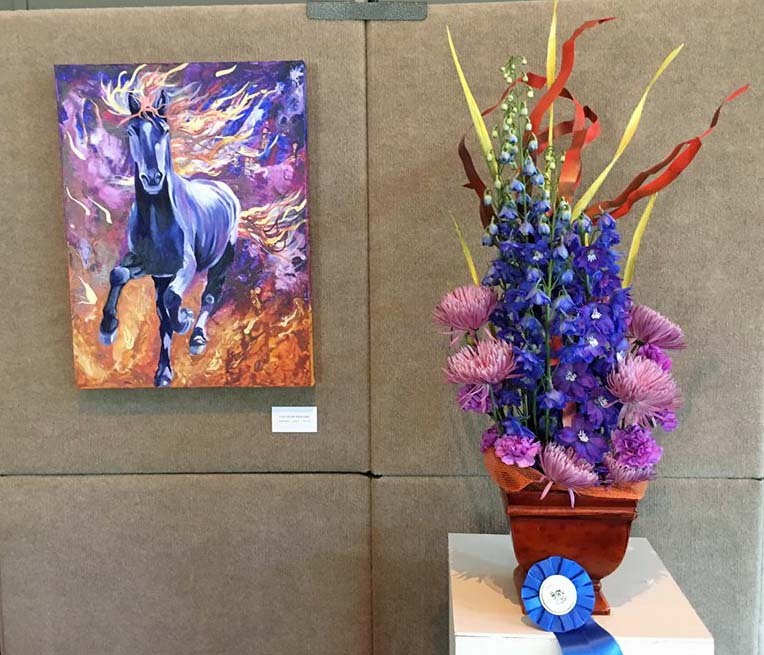 Local floral designers team up with the ECFA artists and interpret paintings in flowers and plants. This exhibit was held at Labelle Winery and a great time was had by all. The opening reception featured a wine tasting of Labelle's wonderful wines. Guests were asked to pick their favorite painting/floral pair, and I am proud to say that this year my painting, Last Of The Wild Ones, interpreted by Blanch Garone of Derry won the People's Choice award.